Today marks a big milestone for the Jeff Cable Photography blog. It was exactly 10 years ago today that I posted my first blog entry. To celebrate this, I thought I wold give you all the back story to the blog, why I started it and how it has evolved. 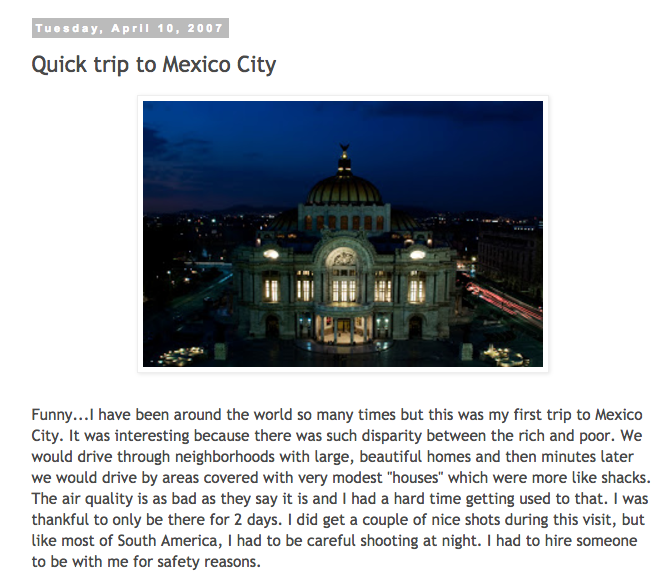 I started the blog back in 2007 as a way for me to share my whereabouts with close friends and family. I was traveling all over the world and thought it would be a cool way to keep everyone updated on where I was and what I was photographing. But the truth is, I did not post very often. I think I posted 17 times that year. Then in 2008, I was in Beijing for my first Olympics, and I had a lot of my friends and family asking me what it was like to be in China and at the Olympic Games. Unfortunately my blog was blocked in China, and so active posting from there would have been tough. So I came home and wrote blog entries to recap my days in Beijing. It wasn't really until December of 2008 that I started blogging weekly, and I have continued posting blogs every week since that time. My goal is simple, I want to share my passion for photography (and other things) with the world. You will notice that there is no advertising on the blog, and I really want to keep it that way. Even though I have had numerous companies approach me about placing their ads on the blog, I really don't want it to look like a race car, with ads all over the place. 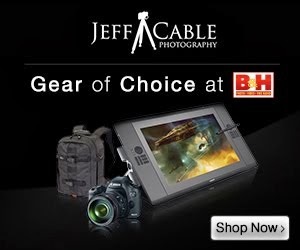 The only way that I make any income from the blog is with the affiliate links to B&H photo that you see whenever I mention product. And yes, I really do appreciate it when any of you use this link to purchase ANYTHING at their store. Last month, I was looking at the web traffic statistics of the blog and saw that the views had reached somewhere in the area of 3.1 million views, Now, instead of 5 views a day, the blog is averaging 50,000 views a month, and during each Olympics, that jumps to around 400,000 views. I am so honored to have all of you who come to the blog to learn, to give input, and to share the passion for photography. I thank each of you for following along on this crazy photographic ride! It's been really great. All of you behind this blog should get thanks. Congrats! What a huge milestone. Thanks for sharing this great news. 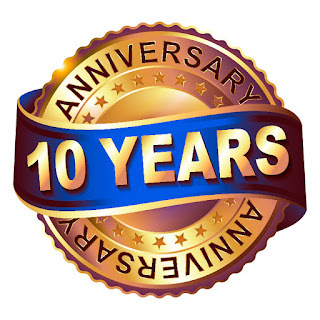 Congrats to your blogs 10 years anniversary.